Tesla capital earnings: Tech company doesn't want to raise capital. Is Tesla Shooting Itself in the Foot by Refusing to Raise More Capital? Tesla is unlike any other car company on Earth. It’s much closer to being a technology company, and not just because it’s based in Silicon Valley and has a member of the PayPal mafia in Elon Musk as its CEO. Tesla-as-a-tech-company has always been a big part of the company’s story, but there’s one way that Tesla doesn’t want to be like a tech company. This came to head when the electric car maker reported second-quarter earnings on Wednesday. Cash and cash equivalents were $1.15 billion at the end of the quarter, down $359 million sequentially, as capital expenditures were $405 million in the quarter. Capital expenditures were primarily for the capacity expansion and tooling associated with Model X and all-wheel drive vehicles, as well as for the construction of the Gigafactory. We have historically been frugal with our capital spending, and our most recent capital spend per unit of incremental capacity is significantly more efficient than even our prior performance. In Q2, we closed a $500 million asset based credit line that can be expanded to $750 million. This line is collateralized by selected inventory, equipment and accounts receivable, and is specifically designed to provide us both increased liquidity as we ramp Model X deliveries and operating flexibility to expand all aspects of our business. We drew $50 million under this line in Q2. Tesla executives expressed a lot of confidence that the cash position won’t be a problem in 2015, but it’s important to remember that this is a company that’s aiming to build close to twice as may cars as it did in 2014, and that will be launching a new vehicle, the Model X SUV, in the next two months. A lot of people think that Tesla should do an equity raise now, while the stock is still trading at stratospheric levels (even though it’s getting crushed in trading on Thursday, due to lower guidance on 2015 vehicle deliveries, it’s still up monumentally over the past two years). The idea is that with shares near historic highs—and with some analysts arguing that Tesla’s future growth is baked into the current price levels—the stock is poised for a slide as the business gets tougher to manage over the next 18 months and executing on the master plan runs into speedbumps. Many tech companies obviously love to raise money. But Tesla is both a maturing operation and one that already staged its major “equity event”—its 2010 IPO. Anyone who bought in back then has seen a return of over 1,000 percent on their initial appetite for risk (assuming they hung onto the stock). But this isn’t an early stage tech company anymore. 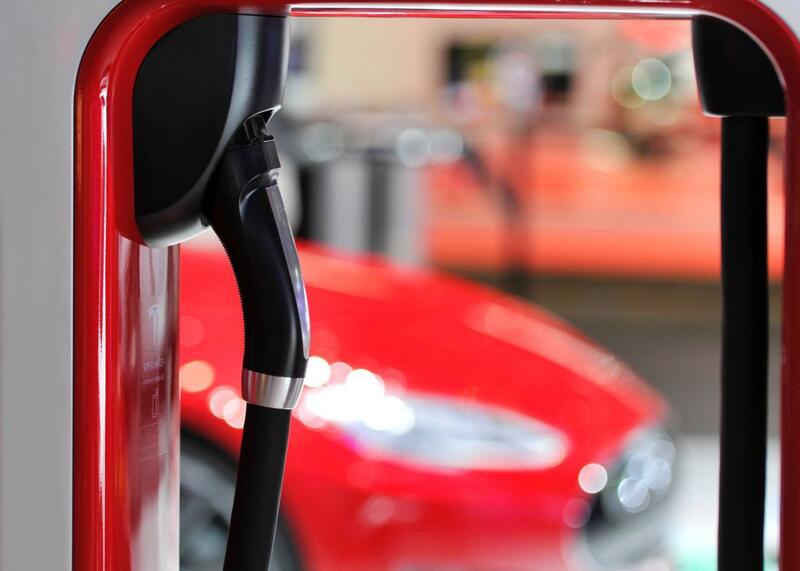 Tesla did a secondary offering in 2013, when the company was just beginning to roll out the Model S sedan and was still paying off a $465-million loan from the Department of Energy. But that was a period when cash flowing into the company was uncertain. Selling a $100,000 luxury sedan has enabled Tesla to improve revenues substantially, but the company has upped the ante on its ambitions at the same time. For example, back in 2013, there wasn’t a $5-billion Gigafactory under construction in Nevada. Tesla is now constructing that facility to provide enough lithium-ion battery cells to power 500,000 cars by 2020. Over the past year, Tesla has repeatedly declared that it doesn’t see the need to sell shares to raise money. However, on Thursday’s earnings call, Musk softened that position a bit in an exchange with Bank of America Merrill Lynch auto analyst John Murphy (thanks to Seeking Alpha for the transcript). “[W]hen you look at the cash burn and how the capital market sometimes shift very quickly, it just seems like an opportune time to take advantage of what you might need in the future, so that’s why we’re asking,” Murphy said. “[W]e’re in the same sort of mind frame as you are,” Musk responded. But Musk only wants to raise capital as a “risk reduction measure,” as he put it. Both he and outgoing CFO Deepak Ahuja stressed that they expect Tesla to end 2015 with $1 billion in the bank. That said, no one is more aware of Tesla’s stock value than Musk, who owns a huge amount of it. Not everyone thinks a capital raise is warranted. Jefferies analyst Dan Dolev published a research note after Tesla earnings in which he observed that “[c]ash flow from operations was once again sharply negative in 2Q for the fifth consecutive quarter” and pointed out that this “once again raised concerns that Tesla may need to raise equity.” But he added that Tesla hasn’t yet cut into its credit line very much and anticipated that the company’s cash position would improve meaningfully in 2016 as it picks up the pace of Model X deliveries. Dolev’s expectations align with Musk and his management team’s. The Tesla story is changing and has been changing since last year. Musk wants to run the company less like a fast-growth tech company and more like a game-changing automaker that happens to be very, very good at integrating state-of-the-art technology into its vehicles. In that sense, it’s symbolically and practically essential that Tesla manages its cash and debt without relying on high-flying equity lifelines. The need to be government-supported is in Tesla’s past. The early investors have collected their reward. Now Tesla needs to build cars, sell cars, and become a company that’s funded by its satisfied customers.